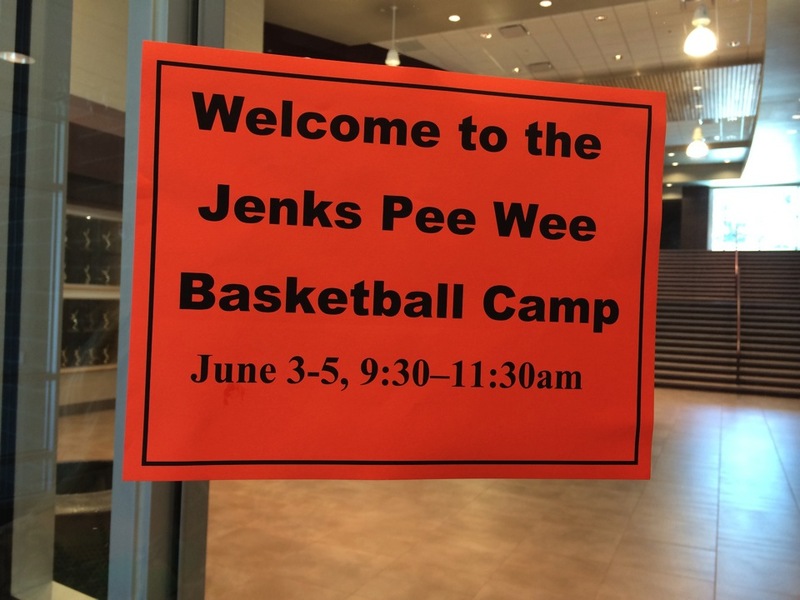 Foster’s friends from school were enrolled in a Pee Basketball Camp at Jenks and invited us to come as well. I am so glad we signed up for this camp- Foster loved it! 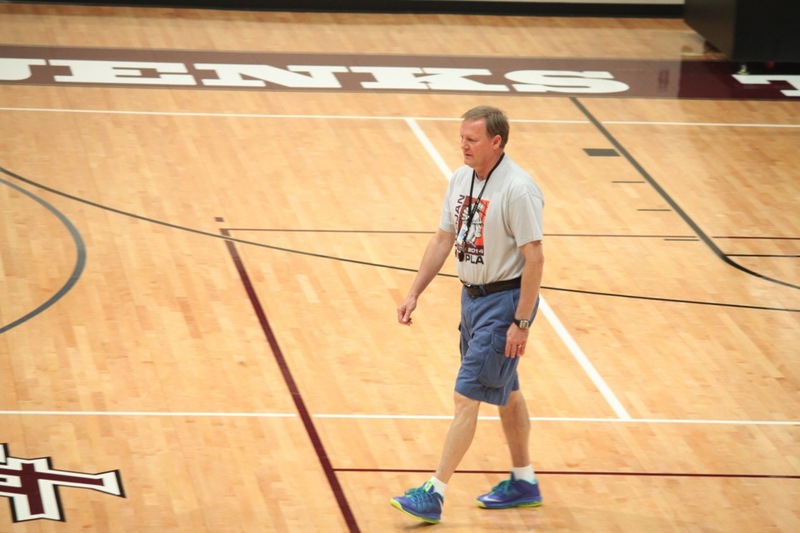 Before this week Foster had NEVER picked up a real basketball. :( This is shocking considering how much Robin loves basketball! We don’t have a basketball goal at our house so the opportunity just isn’t readily available. 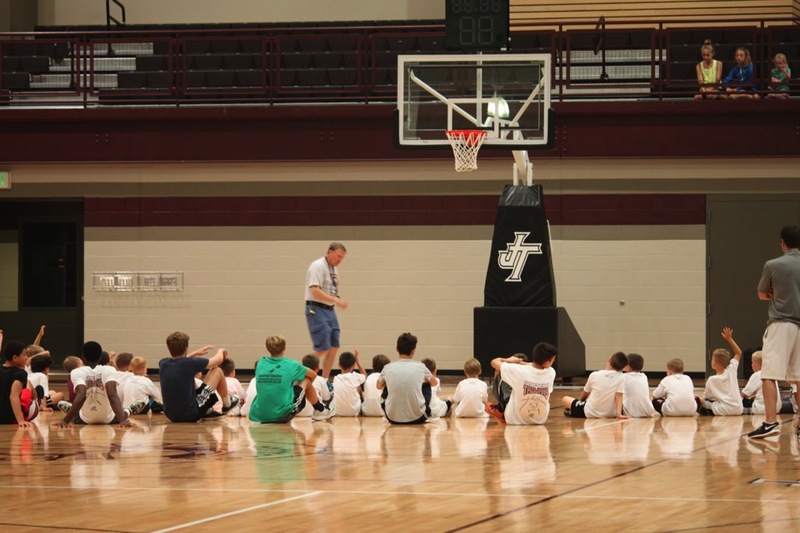 The camp was June 3-5th for two hours each day at the main Jenks basketball gym. 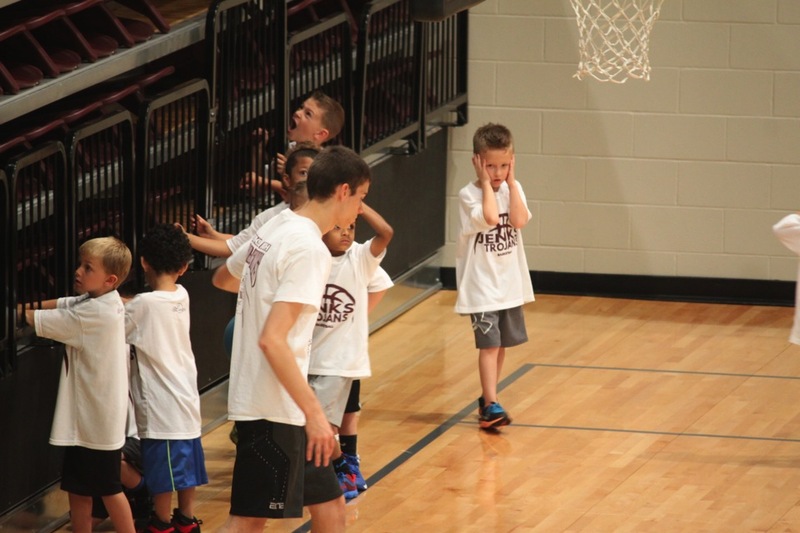 Varsity players and coaches led the camp and Foster loved them! This pic was taken on the 2nd day. 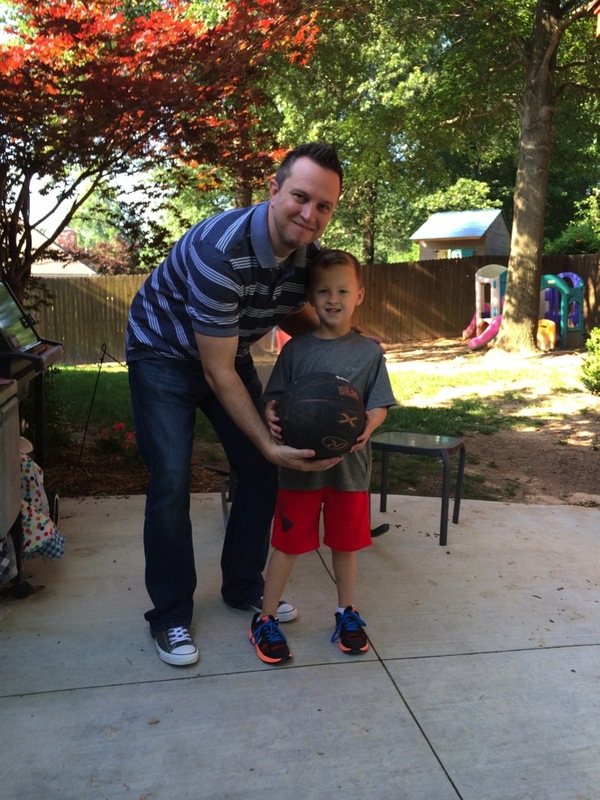 The coaches had given the boys “homework” to practice dribbling so Robin helped Foster on our back patio before camp. 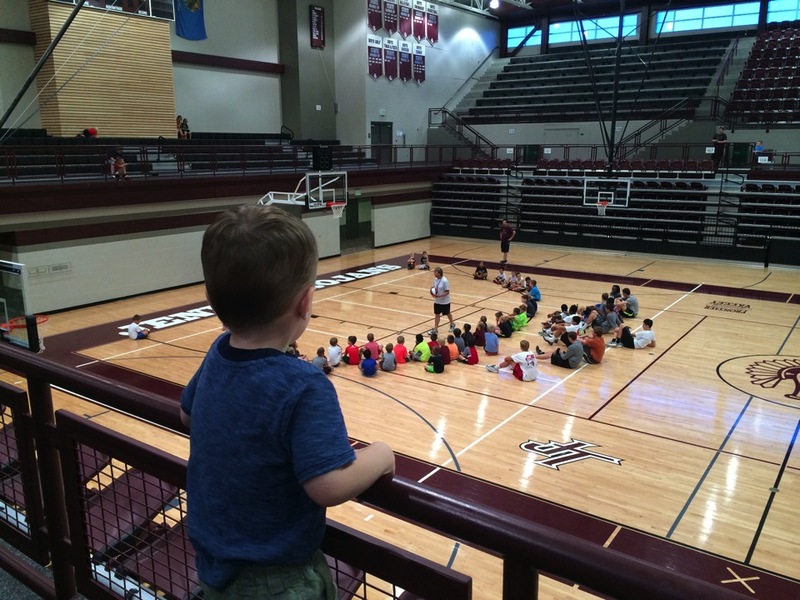 Here is Cash watching the boys. We were only able to stay and watch for a bit because Cash kept running to the TOP of the bleachers and Mommy was tired of chasing him! 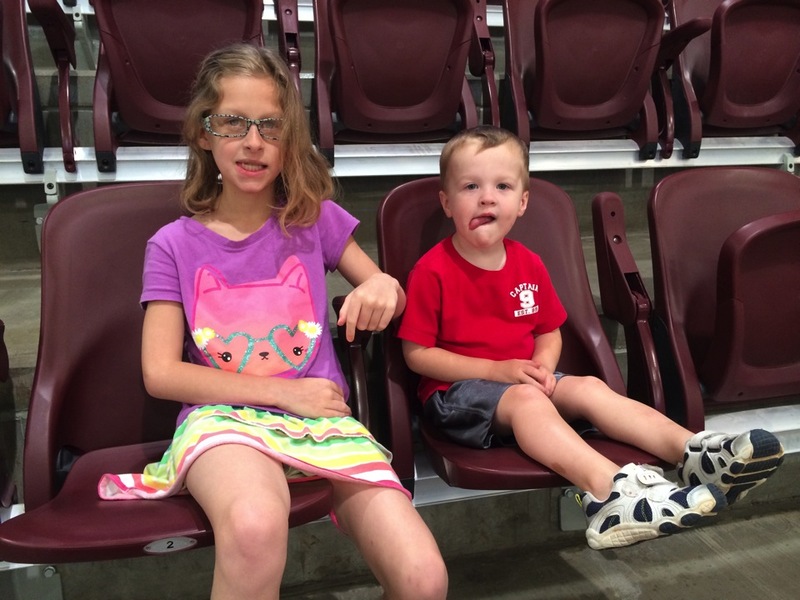 Proud big sister and little bro watching. The glasses on Emma’s face are fake… just a fashion statement! 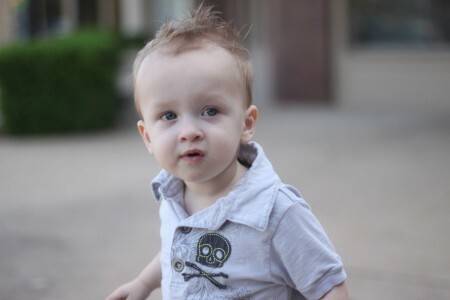 Foster hated the loud buzzer in the gym that sounded every 30 seconds… I kept catching him with his hands over his ears. At the beginning of camp Foster really couldn’t make a basket at all but by the end of camp he was making a few baskets each round- lots of progress! We will definitely try to attend the camp again next summer!